A ruling is expected soon on the Queen Anne Community Council’s attempt to block legislation that would allow more and larger mother-in-law apartments and backyard cottages to be built in Seattle. A ruling is expected soon on the Queen Anne Community Council’s attempt to block proposed legislation that would allow more and larger mother-in-law apartments and backyard cottages in Seattle neighborhoods zoned for single-family houses. Mother-in-law apartments, also called granny flats and known to city planners as accessory dwelling units, are apartments built inside a house. Backyard cottages, which planners know as detached accessory dwelling units, are stand-alone structures. Proponents such as City Councilmember Mike O’Brien and people who live in such units say the small homes can be a good option for people who can’t afford to buy or rent an entire house. They also say making it easier for property owners to build accessory units would boost the number of homes in Seattle’s tight housing market without changing the character of neighborhoods much and without using precious taxpayer money. Renting out accessory units can help homeowners keep up with mortgage payments and rising property taxes when they’re starting a family, out of work or retiring. 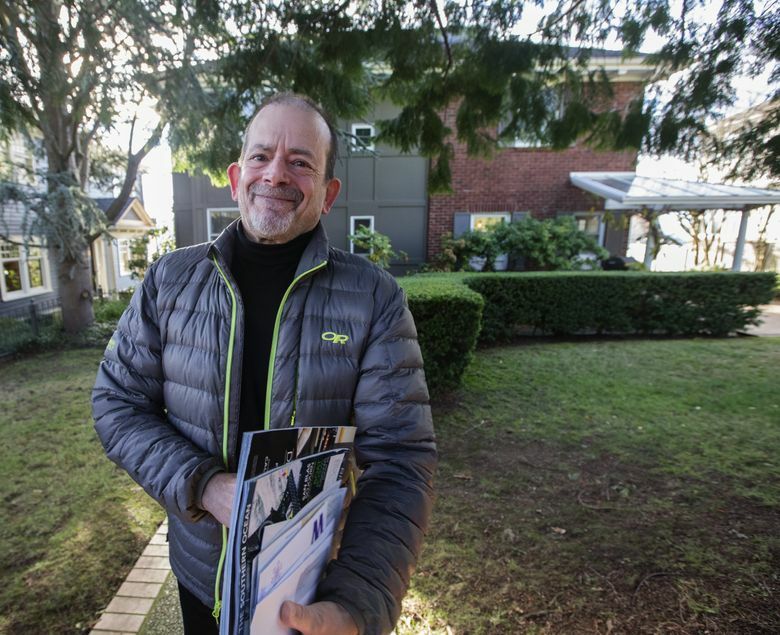 Critics of the legislation, including the Queen Anne Community Council’s Martin Kaplan, are wary of the greater density it would allow on many single-family lots. Accessory units already are permitted in all neighborhoods zoned for single-family houses, with certain restrictions. The legislation would allow the units to be built on smaller lots, remove a requirement that each accessory unit have its own off-street parking space, allow a mother-in-law and a cottage to be built on the same lot, increase the maximum height of cottages and allow property owners to live off-property after six months. In June, Kaplan and the Queen Anne council appealed the city’s State Environmental Policy Act determination that the legislation would have no significant impact on the environment. The appeal, which claims the city’s environmental review was inadequate and demands that a more extensive Environmental Impact Statement be carried out, has for half a year now prevented the City Council from considering the legislation. The intensity with which Kaplan has battled the legislation stems partly from his belief that Mayor Ed Murray and O’Brien are trying to pull a fast one on the city. Removing barriers to accessory units was one of 65 Housing Affordability and Livability Advisory committee recommendations Murray adopted last year. It appeared under the section, “Increase Access, Diversity and Inclusion within Single Family Areas,” and the same section included a recommendation that the city do away with single-family zoning by allowing courtyard housing, row houses, duplexes, triplexes and stacked flats in all residential neighborhoods. The proposed changes to single-family zoning upset some homeowners, and the mayor within weeks backtracked. He said he would set aside the recommendation to change single-family zoning, calling it a distraction. But a push for more accessory units continued, led by O’Brien, who had been working with city planners on the issue since 2014. The council member was open about his goal, while Murray kept his distance. Emails obtained by Kaplan show the mayor didn’t object to the accessory-unit legislation moving ahead with help from his planners. The emails also show City Hall staffers working to keep Murray from being publicly associated with the legislation. In Kaplan’s view, Murray promised he wouldn’t touch single-family zoning, then quietly gave his approval for accessory-unit legislation that would allow more density in single-family neighborhoods across the city. “The mayor said this stuff was off the table, but it was very much still on the table,” Kaplan said. Murray has a different view. Though his planners helped develop the legislation, O’Brien is the driving force, he says. And the mayor says he regularly allows his departments to do work policy requested by council members. Removing barriers to accessory units is different from eliminating single-family zoning altogether, Murray says. Portland has added many more accessory units than Seattle, without undue harm, he says. “I believe you can have these units and still have great single-family neighborhoods,” he said. There are plenty of people in Seattle who agree with Kaplan. When he realized how much the appeal was going to cost — about $25,000 for an experienced lawyer — he fired off a mass email asking for donations. He says more than 300 people responded, contributing so much money he had to send some checks back. But Kaplan, whose Queen Anne house boasts a stunning Space Needle view and a two-car garage, is somewhat removed from another group: People who live in mother-in-law units and cottages rather than pay $750 per month for a tiny studio apartment, as some renters are being asked to do. He doesn’t know anyone like that, he said. Tom Fucoloro, who edits Seattle Bike Blog, has lived in a cottage in the Central District for a number of years. His wife shares the small home, and neither has a car. They love how private the cottage feels, tucked away from the street, and they love living in the middle of the city. The city’s environmental review, prepared by the same planners who developed the legislation, is largely based on an estimate of how many mother-in-law apartments and cottages would be built under the new approach. The construction of cottages on 5 percent of 75,000 eligible lots over 20 years would yield 188 per year — more than five times the rate of 34 per year since 2010. To date, cottages have been built all over Seattle, rather than only in certain neighborhoods. If that were to continue, the impacts would be insignificant, according to the city. Kaplan and the Queen Anne council say the city can’t be sure about that without much more study. They argue the legislation could create parking problems in some neighborhoods, put pressure on public services and utilities and encourage speculative developers to buy modest houses, tear them down and replace them with three-dwelling complexes. Seattle Hearing Examiner Sue Tanner is expected to issue a ruling on the appeal any day now. If Tanner sides with the city and the City Council clears the legislation, the Queen Anne council may sue in King County Superior Court to strike it down.